Let’s first take a look at the 4-hour time frame of the EURUSD. As you can see, the pair appears to be bottoming now after it slid sharply from 1.5144. 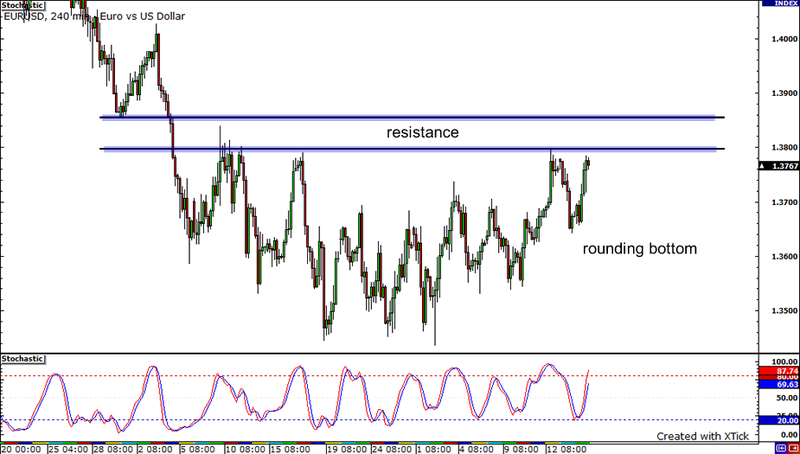 The pair could start a new uptrend if it is able to break free from the resistance levels at the rounding bottom’s neckline and at the 1.3850 handle. But if the resistances at the mentioned levels hold, the pair could just continue ranging before it treks lower again. Now, do you remember the double bottom that I previously saw on the Cable? 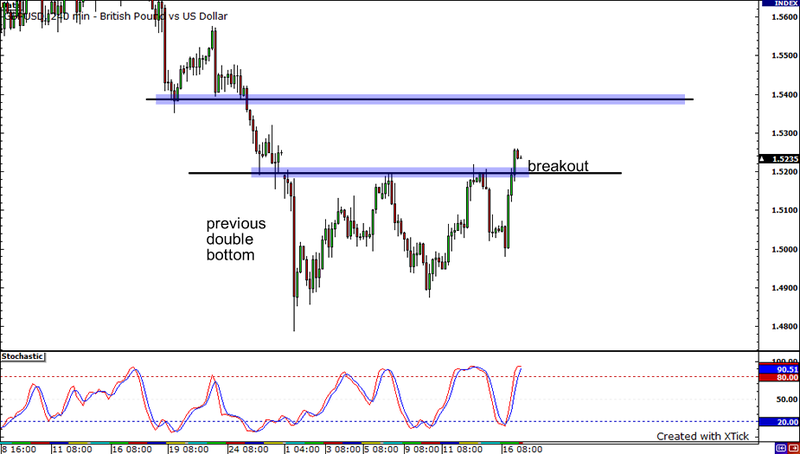 Well, GBPUSD initially failed to break out from the formation but yesterday it was able to do so. Presently, the pair is trading above the 1.5200 handle. The support at the formation’s neckline and at the 1.5200 mark should be able to keep the pair from falling. With stochastics in the overbought territory, the pair could just range for a while before moving higher again until it encounters some resistance at 1.5400. Now let’s travel all the way to the other side of the world to the Land Down Under. 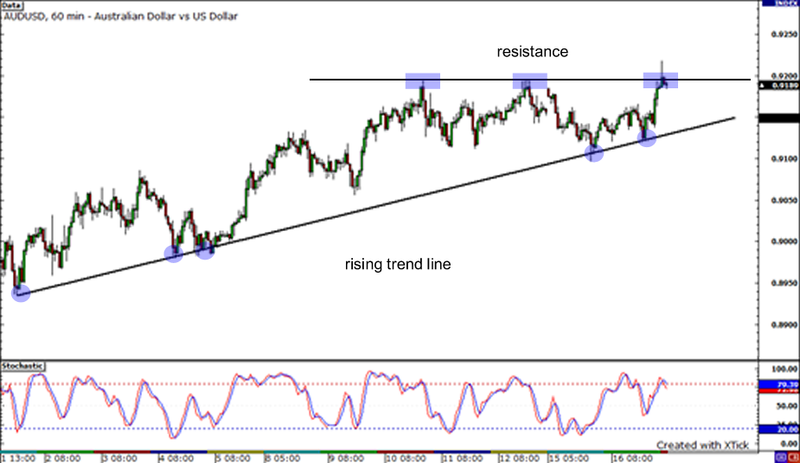 Do you see that rising trend line on the AUDUSD 1-hour chart? That trend line held its ground really well recently as the pair made a couple of attempts to break it down. After the latest bounce from the trend line, the pair surged up to the psychological 0.9200 handle at which it encountered resistance. The stochastics are starting to make their way out of the overbought area, suggesting that downward price action could take place soon. If it does, the pair could fall back and retest the trend line again.